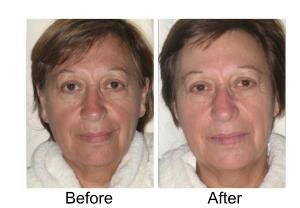 Some of the visible improvements Clients have noticed after these face massages include: expression lines eased or disappeared, eyes brighter and wider, cheeks plumped and lifted, complexion fresher and more toned, jowl area improved, face appears less puffy and slimmer due to elimination of toxins, skin softer and smoother. In addition, clients report a feeling of total relaxation and well-being. 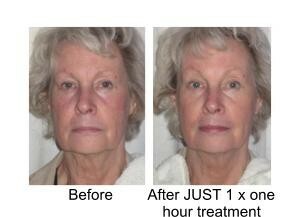 A fantastic way to relax and chill out – with the added bonus of looking rejuvenated. 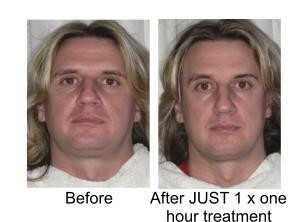 A gentle and cost effective alternative to going under the knife or having injections to maintain a youthful complexion. Imagine a blissful, carefree session of relaxing, totally natural, non-invasive face and neck massage to give you a renewed sense of tranquillity reflected in your features. Often clients will treat themselves to Facial Rejuvenation a few days before a special occasion for a healthy glow and confidence boost. 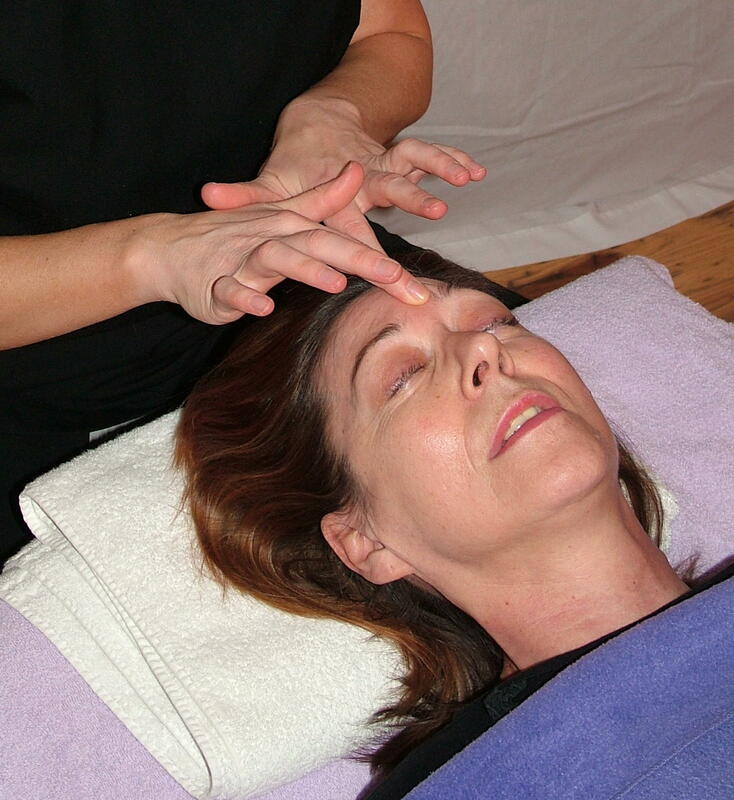 Regular treatments maintain and enhance the effects, as do the self-help techniques and facial exercises given. 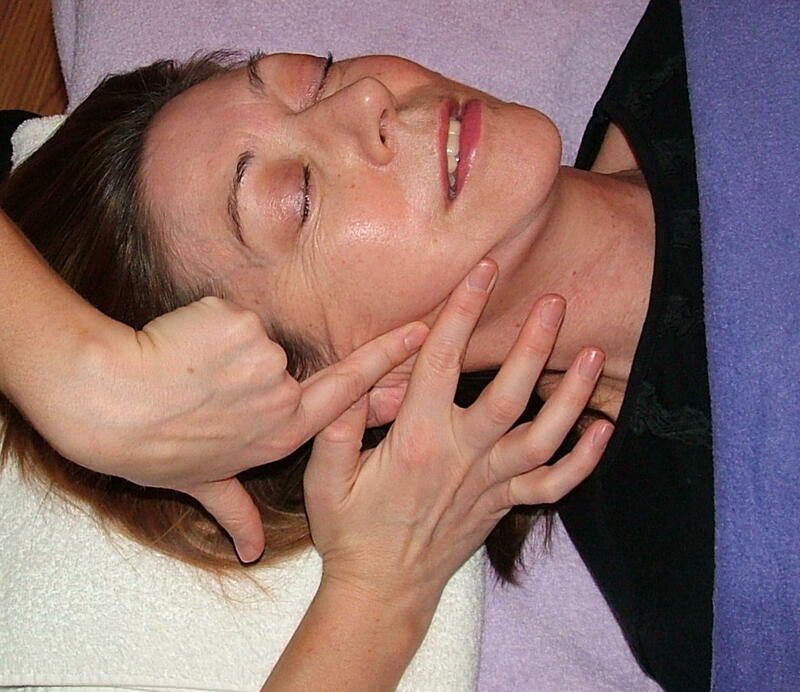 Hayley’s tutor and pioneer of this therapy, Kundan Mehta, states: “This method works the face systematically, releasing deep-seated tension, freeing layers of muscle and connective tissue so that there is space for the muscles to relax, encouraging and opening so that micro-circulation and toxin elimination can begin again and the tissue can glide smoothly over the deeper layers of muscle and bone.” Facial Rejuvenation Massage has its roots in Ayurvedic teachings. Mrs Mehta’s husband, Narendra, was the pioneer of Indian Head Massage in the UK. This deeply relaxing massage stimulates muscles and releases restrictions in connective tissue of the face and neck, stimulating production of collagen and elastin to help soften lines, giving the face a lifted appearance and improved skin tone. Many clients fall asleep, waking refreshed, wide eyed and lifted. The specific movements aim to improve lines and wrinkles by working on ingrained expressions and releasing deep seated tension. It helps restore vitality and mobility, giving muscles a new lease of life. The skin feels smoother and softer. Hayley was the first Therapist in this region to qualify in Facial Rejuvenation and has many years experience in this therapy. Some Clients choose a longer therapy and combine this with some Tsuboki Face Massage too for a longer relaxation and rejuvenation package. Thank you to all of these clients for giving permission to publish their photos on my website.